Huawei P30 Pro comes with revolutionary camera technologies and its most remarkable zooming features. With an amazing camera capability, P30 phones can capture the Moon with more clear in close angle but recently there are questions buzzing regarding this particular moon mode feature. 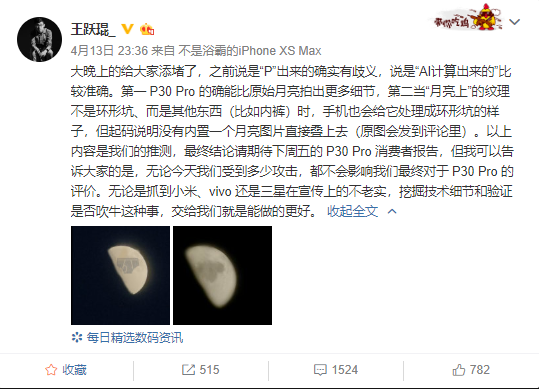 On April 13, a well known digital blogger – Wang Yuexi in China has raised questions on Huawei P30 Pro’s “Moon Shooting feature”. He noted that it’s fake and is completely generated by AI and not an actual image. He said the image taken with P30 Pro was processed as the size and the shape of the Moon’s crater got unrealistically clear and sharp. And pointed out that P30 Pro is creating a fake image of Moon. 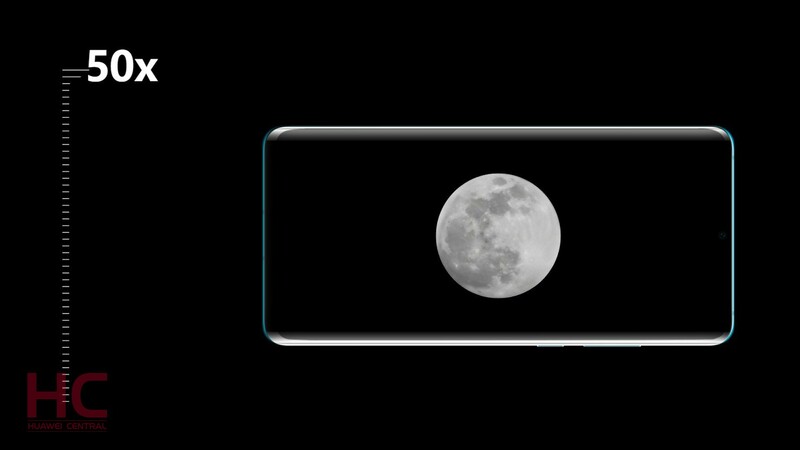 This statement was later refused by many peoples in the industry and said that the original picture of the moon taken by the P30 Pro is real. There is no such thing as fake processing, except the sharpening and other retouching effects to make the moon look clear. After this scenario, it is being said that Wang was influenced by propaganda against the manufacturer or fired-up by his own mindset. Some of the authority has also accused him of spreading this lies about this technology. 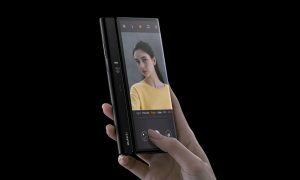 Huawei launched P30 Pro with its best camera specs ever, including a 40MP Huawei SuperSpectrum main camera, a 20MP ultra wide-angle lens, an 8MP optical telescope zoom, and a time-of-flight camera for more accurate portrait shots and better object measurement. P30 Pro offers an outstanding amount of superzoom up to 50x digital, which utilizes 10x hybrid zoom and 5X optical zoom. 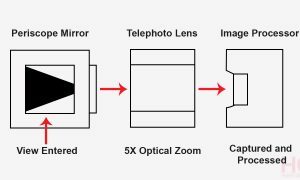 The result of this combination allows you to zoom in to an object at its maximum, that cannot be seen through human eyes. So what do you think of this matter, is Huawei P30 Pro’s moon capturing feature fake or is it real? let us know in the comments.